Programmatic Advertising is an automated method of buying digital advertising in which supply and demand partners make decisions on a per-impression basis and adhere to business rules as provided by the operators of each platform. The demand partners are supported by the DSP (Demand-Side Platform) which enables buyers to manage multiple programmatic connections and exchanges to purchase inventory through one interface. The SSP (Supply-Side Platform) enables the automation and optimization of inventory for the supply partners, accepting bids, prioritizing contracts and relationships. As written in our recap of 2016 programmatic advertising is growing constantly. In the US, programmatic arrived already and reached more than 24.2$ billion spendings in 2016. In 2014 the spendings were only 10.6$ billion. This makes up an increase of 128%! 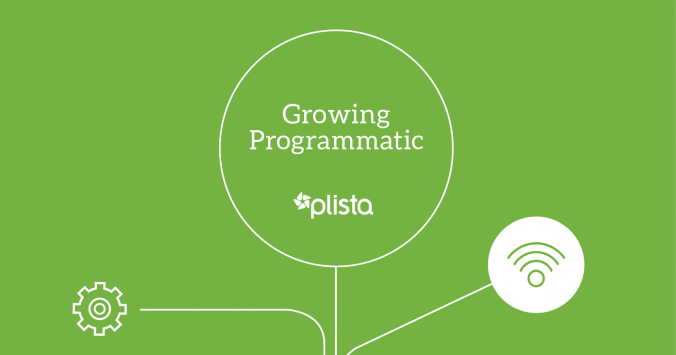 The anticipated year-over-year growth in programmatic is 67%. While desktop display is flat, programmatic video will increase 84.5%, and mobile is up $6 billion. In 2016 programmatic was expected to represent 40% of all video and 69% of all mobile ads. In Germany programmatic advertising is gaining momentum. 2016 the spendings on programmatic ads were 885$ million. eMarketer predicts that by the end of 2018 the programmatic digital display ad market will be worth nearly 1.4$ billion. plista has developed a server-side-header bidding solution and launches the programmatic SSP integration in September 2017. Advertisers will be able to get access to multiple supply sources. This way they are paying the best price according to the actual value of each impression. On the other side publishers will be able to use the SSP to monetize their inventory programmatically. Since bidding can be handled more quickly and user-friendly publishers are able to optimize their revenue by using the offer. “plista’s SSP integration reduces all requests to one, which is then processed in milliseconds by multiplexing technology. Only the successful bid is returned to the user, which will speed up the processes at the consumer at the maximum, “says Michael Gagnon, Global Managing Director at plista. With plista’s SSP integration publishers do not have to maintain the integration regularly, all changes and updates are completed on plists’s end. Furthermore the native widget design will remain unchanged and publishers stay in full control over the display of the advertisements. plista will offer the header bidding solution for available publisher products. If you have any questions regarding the activation process or the status of your widget please contact your account manager. Further information on plista’s launch of the SSP integration you can find in our press release.